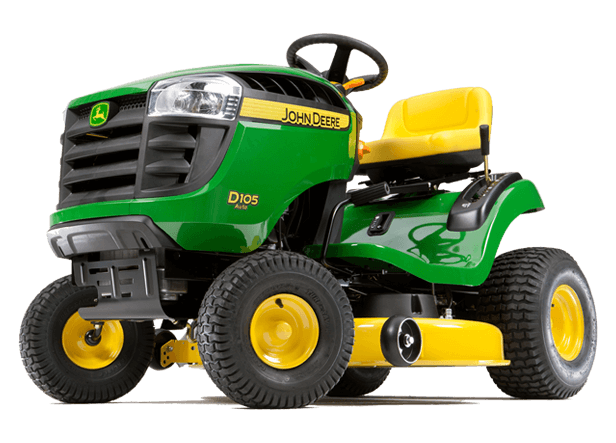 The D105 Lawn Tractor features an automatic transmission. Just like with your car, you simply set your direction with the fender-mounted hand control and press your pedal to select your speed. Seat Back Height 11 in. Mower Cutting Width 42 in.